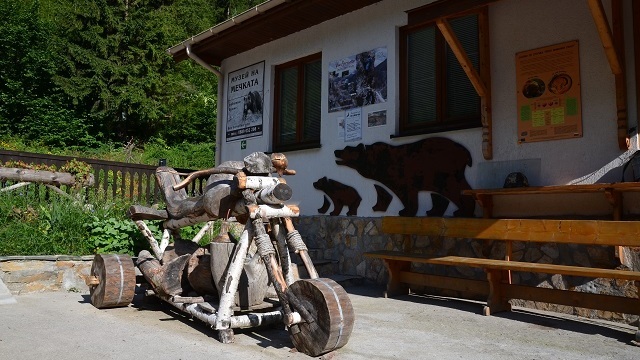 The Brown Bear’s Museum is located to the side of the road between the Devil’s Throat cave and the Trigrad village. 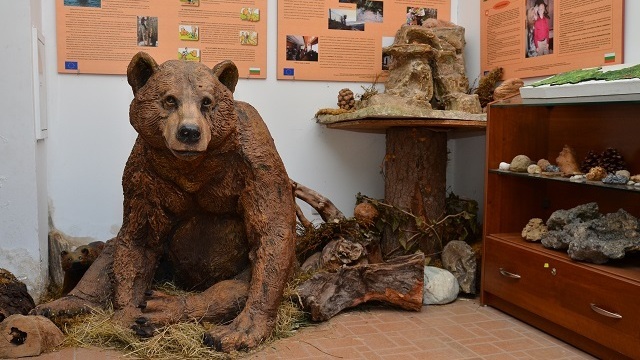 Visitors can listen to authentic recordings of the roar of bears and the gnarl of wolves and foxes and view casts of the tracks of various wild animals. 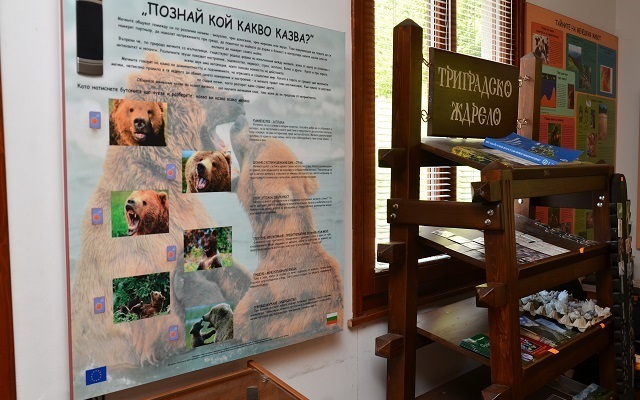 The museum exhibit visualizes and presents interesting facts about the life of the brown bear. The interactive exhibit allows visitors to learn more about the behavior of the large predatory animals, their habitats, life cycle, the dangers related to their reproduction as well as get some advice on how to react if they encounter them in real life. Working time: 08.00-17.00 ч., every day, all year round.